Post-it Super Sticky Recycled Adhesive Notes Assorted - 6 / Pack 4"
Post-it Super Sticky Notes hold stronger and longer than most self-adhesive notes so you can be sure that your message gets through. Have the confidence to leave important messages on multiple surfaces including computer monitors, office doors, and walls. Perfect size for notes and reminders. 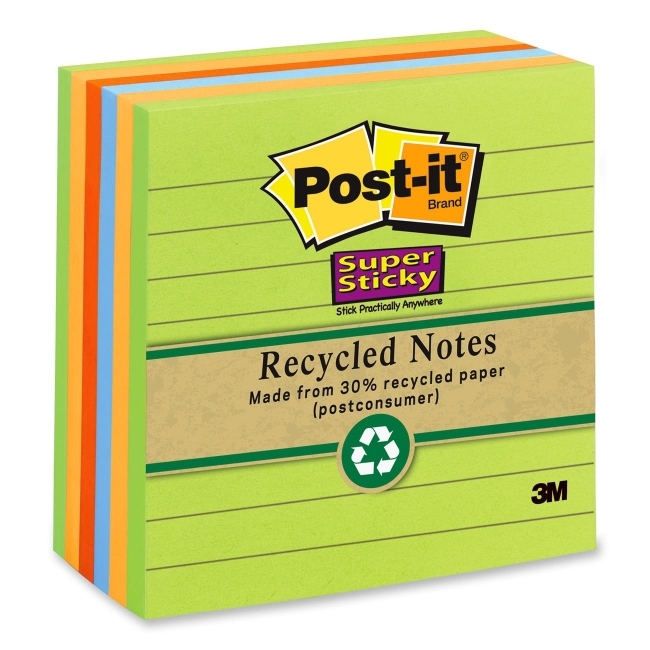 Notes are made with 30 percent post-consumer recycled material. Paper used comes from well-managed forests where trees are replanted. 90 sheets per pad.